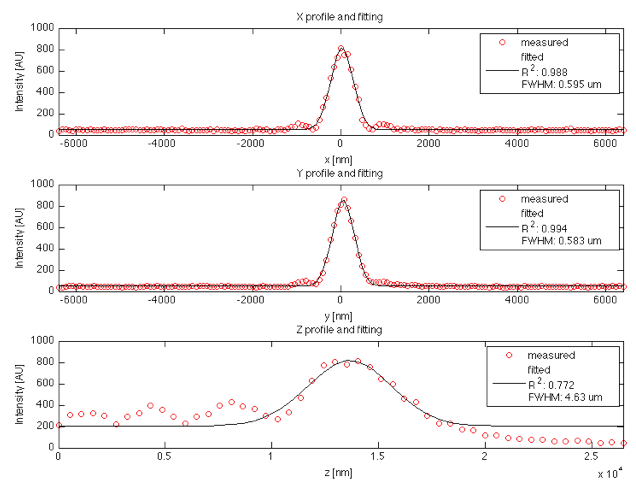 This project was an exploration of the different techniques available for evaluating the point spread function (PSF) of a microscope. Two different approaches are available. The first one is applied directly on the 3D data of the PSF. The goal is to qualify the geometrical aspects of the PSF's shape by performing a fitting of the PSF in different ways in order to estimate some geometrical properties. The other technique is much more advanced than this qualitative evaluation and provides q uantitative parameters (the aberration coefficients) of the acquired PSF. This technique is based on the matching of the acquired PSF with a theoretical one generated using a forward model. The aberrations theory developed for the generalized pupil function and the decomposition of the wave aberration function using the Zernike polynomials is of particular interest for the development of a physical model capable of modeling a non-perfect PSF. 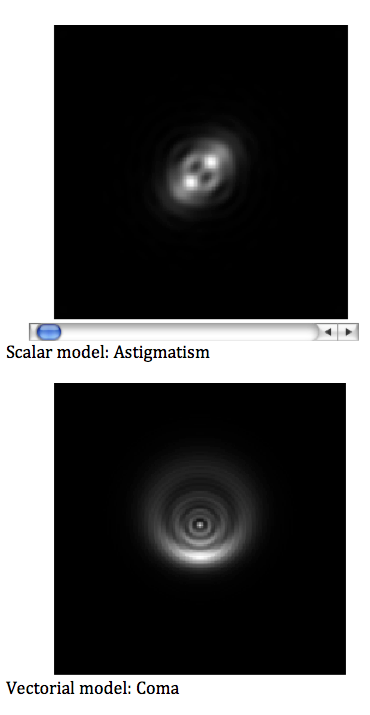 Two classes of models were investigated: the scalar (limited to numerical apertures lower than 0.5) and vectorial models. The matching of the PSFs using a genetic algorithm was also investigated and yields to promising results.